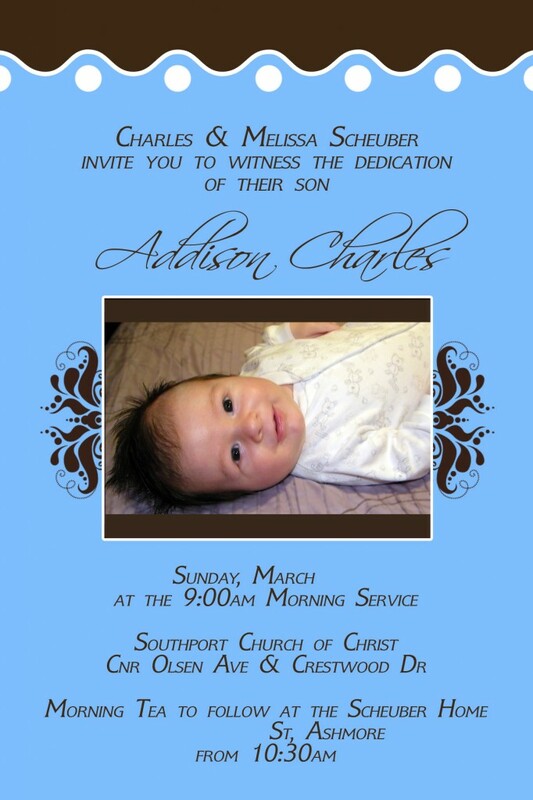 Last Sunday we discussed possible dates for Addison’s dedication with our church. The date has been set, so today I worked on the invitation design. I’ll hopefully get them printed and posted out at the beginning of February.